HE Mattar Al Tayer, Director General and Chairman of the Board of Directors of RTA, accompanied by a number of RTA’s directors, hoisted the national flag on RTA’s Head Office. 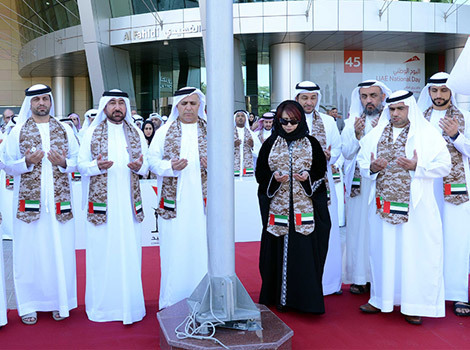 All attendees then observed a minute of silent prayer for the souls of the martyrs who have sacrificed their lives to uphold the UAE’s flag. The events mark celebrations of the Commemoration Day, which falls on 30 November each year. “Our leadership pays tribute to sacrifices of its heroic soldiers, as HH Sheikh Khalifa bin Zayed Al Nahyan, President of the UAE has conferred the Insignia of Martyr to our martyrs in honor of their loyalty and sacrifices while performing their national duty. The UAE government erected a Martyrs’ Memorial in recognition of Emirati martyrs. 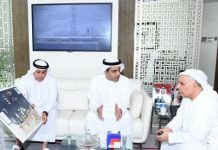 The step echoes the commitment of the UAE to recognize sacrifices of the martyrs who lost their lives while performing their national duty for the sake of our homeland,” noted Al Tayer. “Our martyrs represent a source of pride for all Emiratis and set an example to follow in defending Arab and Islamic nations against their enemies. 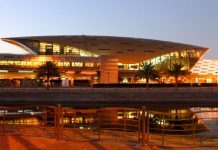 Under the leadership of HH Sheikh Khalifa bin Zayed Al Nahyan, President of the UAE; HH Sheikh Mohammed bin Rashid Al Maktoum, Vice-President and Prime Minister of the UAE and Ruler of Dubai; and HH Sheikh Mohammed bin Zayed Al Nahyan, Crown Prince of Abu Dhabi and Deputy Supreme Commander of the Armed Forces, the UAE has gone the extra mile in defending the Arab land, and repulsing aggressors driven by suspicious foreign agenda,” continued Al Tayer.